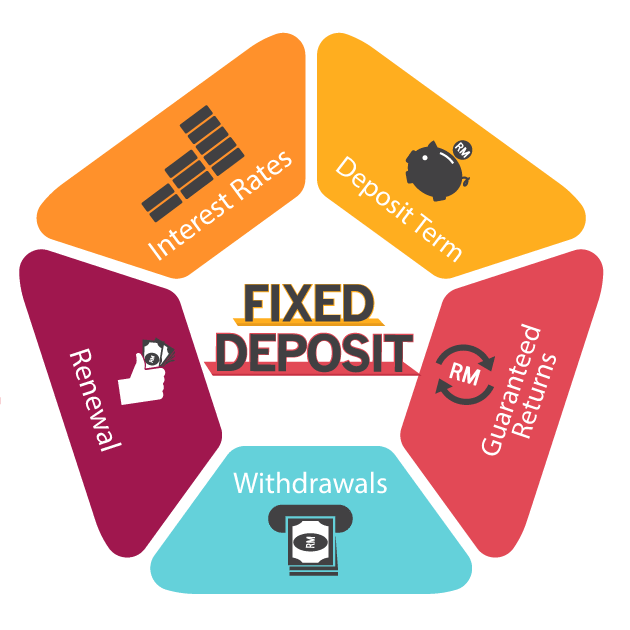 A Fixed Deposit (FD) is a financial instrument, offered by banks and non-banking financial companies, wherein you can deposit a lump sum amount to earn assured returns on maturity. You can choose the tenor of investing (from 7 days to 10 years) during which your money is locked-in, and it accrues interest on a predetermined rate. The interest rate and your maturity amount are not dependent on market fluctuations. Hence, fixed deposits are considered as one of the safest investment avenues and a preferred choice of investors. Fixed Deposits offered by banks are considered to be safe as the depositor gets deposit insurance up to INR 1 Lakh by Deposit Credit Guarantee Corporation of India. However, bank FDs do not offer higher interest rates. FDs offered by NBFCs, and financial institutions usually offer higher interest rates than bank FDs. To keep your investment safe and to earn a higher rate of interest, you can choose a company Fixed Deposit with a higher safety rating like Bajaj Finance FD which is assured by ICRA’s MAAA (Stable) and CRISIL’s FAAA/Stable- the highest safety rating in the industry. Higher interest rates: When it comes to higher returns, FD is a winner as compared to the savings account. Savings accounts offer returns of 4 to 6% whereas interest rates offered on FDs start from 7%. Company fixed deposits such as NBFCs offer Fixed Deposit interest rate of as high as 8.75% along with additional benefits on FD renewals and new FD account opening. Liquidity: Unlike fixed assets such as real estate which is difficult to liquidate, FDs can be withdrawn as and when required. You don’t lose any money on premature withdrawals of fixed deposits. Assured returns: FDs give you assured returns on maturity as FDs are not subject to market fluctuations like mutual funds or equity or other market-linked investment instruments. Flexible investment tenor: You can choose flexible tenors which range from 7 days to 10 years. For better returns and high-interest rates, you can choose tenor between 12 to 60 months, depending on how much liquidity you need. Ladder your investments: You can stagger your deposits in different schemes and ladder your investments across different tenors. This will help you safeguard your investments against market fluctuations and ensure liquidity at all times. Besides, you can start with small investments like INR 25,000 in case of Bajaj Finance FD. Periodic payouts: In case you are looking for periodic returns, non-cumulative fixed deposits offer monthly, quarterly or yearly interest payouts depending upon your financial needs. Loan against FD: Many banks and NBFCs offer loans against fixed deposits wherein up to 90% of the deposit amount can be availed as a loan. The rate of interest is low as you’re pledging your FD as collateral. Moreover, you don’t need to liquidate your FD to cater to your financial emergencies. You can also partially withdraw your FDs at times of emergencies. High interest rates for senior citizens: FDs are a preferred investment option among senior citizens because they are offered higher interest rates (as compared to regular FD rates). FDs are an excellent investment avenue for senior citizens to manage their EPF corpus after retirement. Tax savings: Under Section 80C of Income Tax Act, 1961, you can claim certain tax benefits on your fixed deposit schemes. Fixed deposit is also an easy-to-manage investment instrument. You don’t need an expert financial advisor or an expert to manage your fixed deposits. If you open an FD account with Bajaj Finance, you can track and manage your FD online via Experia. If you’d like to know the maturity amount before taking a decision to invest, you can use the online FD calculator. While selecting a fixed deposit scheme, you evaluate a lot of factors like the credibility of the lender, flexibility in investment terms, tenor, interest rates, periodic interest payout options, etc. But the most important among all these factors is the rate of interest. You may come across FD advertisements highlighting the ‘annualized effective yield’ on FDs more than the ‘rate of interest.’ Less emphasis is given to the rate of interest (often mentioned in the background). As a depositor, you might get confused between the two mentioned rates. Are you aware of the actual interest rate on fixed deposit and the yield on fixed deposits? Well, here’s a quick comparison for you to understand the difference between the two. The interest rate on fixed deposit is the return offered on the principal amount you have invested calculated as compound interest. This is purely based on compounded interest and no other factor is taken into account. Previous Why you Should Invest in a Systematic Investment Plan or SIP? Next Can FinTech Transform the Future for AML Compliance?